The last 24 hours has been one I simply want to replay forever. 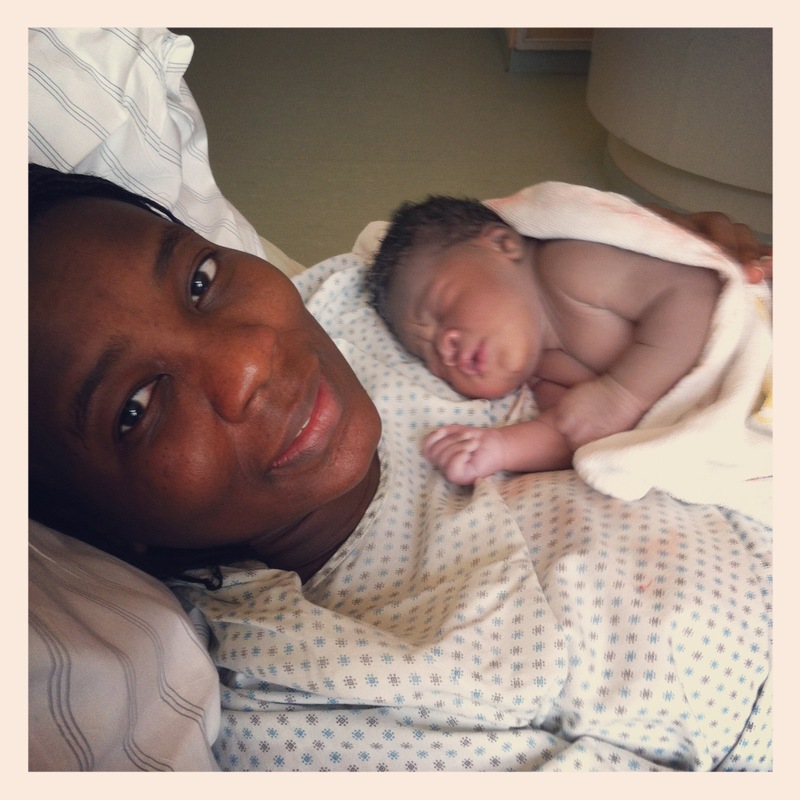 Isabel-Juda was born at 6PM on Tuesday July 10, 2012. She weighed 3.65kg (8.05 lbs) and stood at 54cm. The running water woke me up yesterday morning. It was 4AM and wifey was having a shower. That wasn’t normal, not at that time. And of course, the alarm bells in me starting ringing immediately. I could hear her groan. She was in severe pain. The contractions had kicked in. And over the course of the day, the pain increased significantly. Between contractions, she sang worship songs, held my hand as we walked round the hospital neighbourhood several times in an attempt to kick start labour and looked at me (maybe thinking “This is all your fault dude!”) and at other times she just kept quiet. She persisted, she lingered and after 40 minutes, she prevailed. I could describe my experience in the labour room but words fail me. All I can say is I witnessed a miracle yesterday. It was awesome. You see, we’ve spent the past 3 months watching “One Born Every Minute”, but this wasn’t BBC or More 4. This was it! This is my seed, my flesh, my blood. This is Isabel-Juda: for unto God she is vowed and to God she has been promised. And out of her lips has praise been ordained. Mum and Dad love you dearly. PS: In the last 24 hours, we have been inundated with goodwill messages. Temi and I would like to express our heartfelt gratitude for the stupendous show of love from far and near. Isabel-Juda has an awesome community of uncles, aunts and friends. And for those trusting, may God grant you your season of birth and give you a reason to laugh in Jesus name. Amen.